I love going to Ashland Oregon to watch all the wonderful plays during the Oregon Shakespeare Festival. 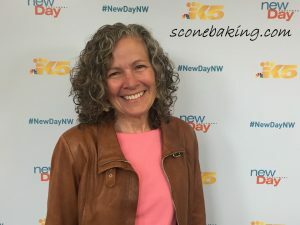 While in Ashland, our favorite breakfast restaurant is the Morning Glory where I have enjoyed the most delicious Lemon Ricotta Blueberry Pancakes. 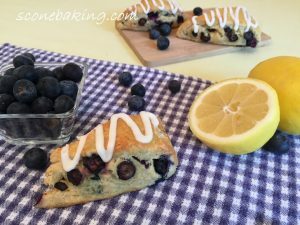 Those pancakes are the inspiration for my Lemon Ricotta Blueberry Scones. 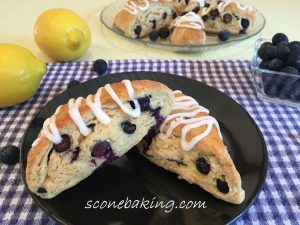 Lemon Ricotta Blueberry Scones are light and moist, with blueberries throughout the scone and topped with a tart and sweet lemon icing. Preheat oven to 400 degrees F. Grate butter; put in freezer. Meanwhile, in a large bowl whisk together unbleached flour, whole wheat pastry flour, sugar, baking powder, baking soda, salt, and lemon zest. Mix frozen butter into dry ingredients. In a small bowl stir together milk, 1 Tbsp. lemon juice, yogurt, and ricotta cheese. Add milk mixture to flour-butter mixture, stirring until combined (do not overmix). Place dough on a heavily floured board; pat into a square. Roll into a 12″ x 12″ square. Fold into thirds, then fold into thirds the other direction (you should have a square again). Put on floured plate; put into freezer uncovered for 5 minutes. Put blueberries in freezer for 5 minutes. 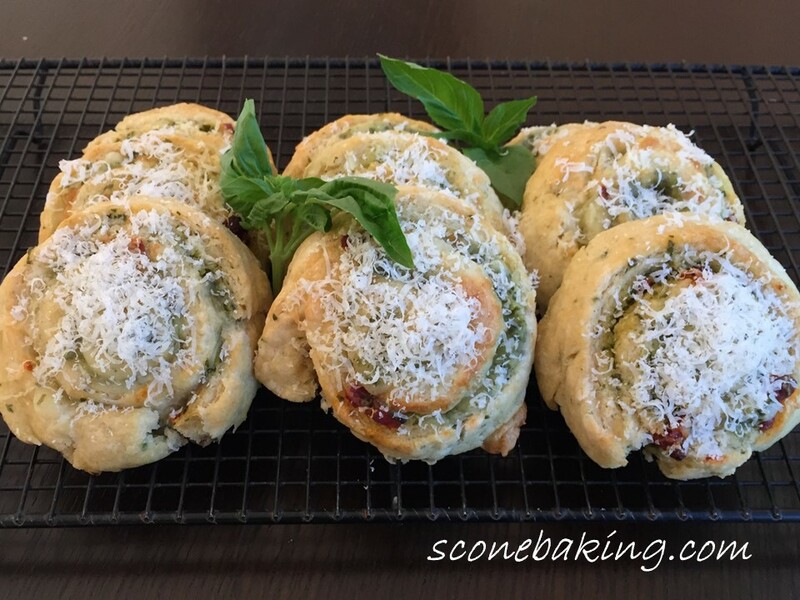 Remove dough from freezer and roll into a 12″ x 12″ square. Scatter frozen blueberries evenly on dough. Roll dough, like a cinnamon roll, into a tight log. Flatten log into a 4″ wide x 12″ long flat log. Cut flat log into 6 even pieces, then cut each piece diagonally. 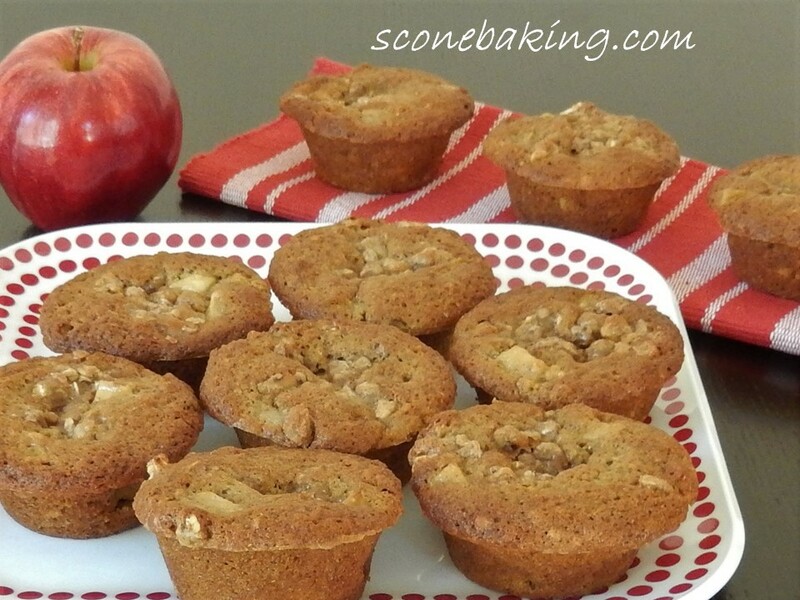 Place on parchment lined baking sheet. Brush tops with beaten egg. Bake at 400 degrees F. for 15-18 minutes, until golden brown. 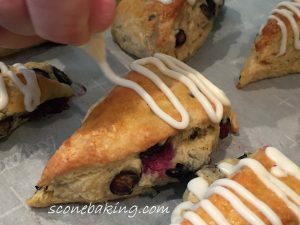 Remove scones and parchment paper from baking sheet onto a cooling rake. Cool 15 minutes. 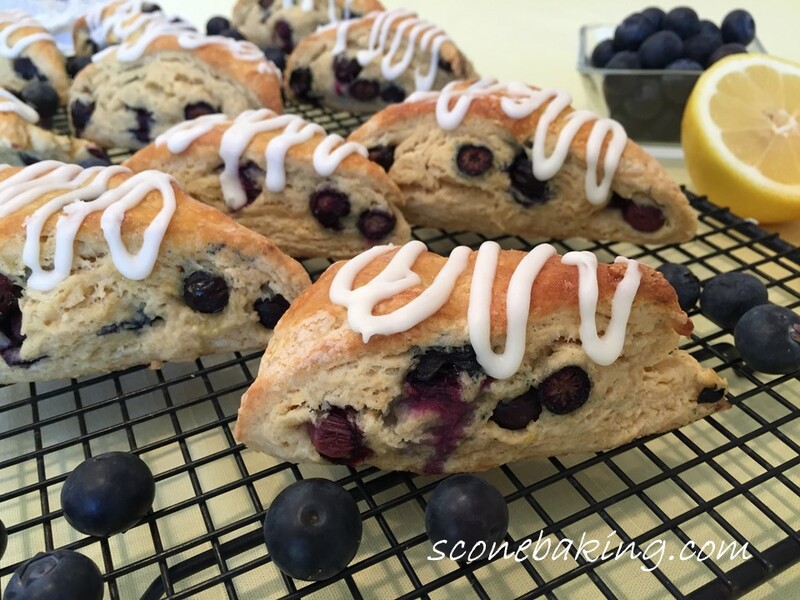 Click on the link below for my YouTube video demonstrating how to make these delicious scones.